Getting down to the Nitty Gritty about Healthy Living, with a Southern twang. Y’all, this turned out surprisingly well. Really, really good, actually. I’m not going to lie and say “it tastes just like Carrot Cake”. 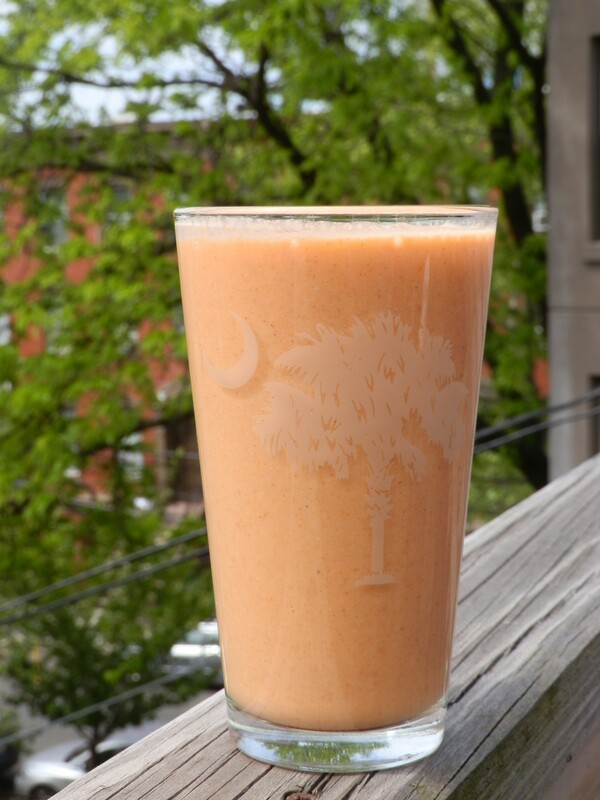 But, for a healthy smoothie, it’s pretty darn good. I think it’s the little bit of Greek Yogurt that does it. It just hints of a cream cheese frosting. Seriously, try it. I think you’ll be as pleasantly surprised as I was. 2-3 medium carrots (peeled and chopped) Is peeled the right word? 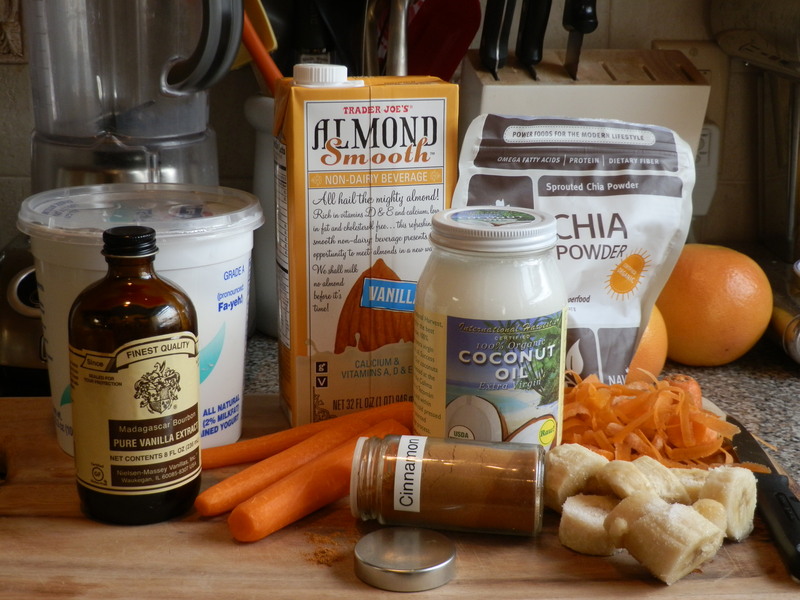 Throw all ingredients (but only 1/2 cup of Almond milk) into a blender. Add the rest of the Almond milk until you reach the consistency you want. Pretty good, right? A perfect cool treat after a run. Posted on April 29, 2012 by nittygrits	• This entry was posted in Drinks, Green Monster, healthy, Recipes. Bookmark the permalink. This looks excellent, and I can’t wait to try it! So what is the deal with chia seeds anyway? Do they provide some nutritional value I’m not aware of? Chia seeds are great. Lots of Fiber, Omega-3 and the powder is highly water absorbent and acts a little gelatinous. Perfect for bulking up a smoothie.